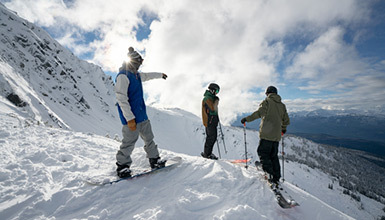 Whistler Blackcomb is open for skiing and snowboarding until May 27. Check the Mountain Hours of Operation for full 2018/19 winter dates. Plan your runs before hitting the slopes. 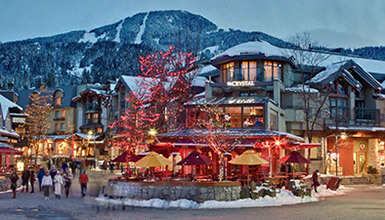 View an interactive map of the Whistler ski resort showing lifts, gondolas, upload points, ski runs, on mountain restaurants and more. Combine your lift tickets and lodging when booking to secure the best deal for the Winter Season. The longer you stay, the more you save. Whether you’re a beginner or want to challenge your personal boundaries, learn from some of the best instructors in the world. Wide-open terrain, endless untracked powder and zero lift lines; heli-skiing is the ultimate ski & snowboard experience. From beginner and high performance boards and skis to helmets and outerwear, choose your kit from the latest styles and technology in the industry. Whether you're hitting the slopes for Opening Day or kicking off mid-season, the Insider has tips on making the first day fun and hassle free. You dont need to ski or board to get above the clouds - the PEAK 2 PEAK gondola is open for sightseeing summer and winter.